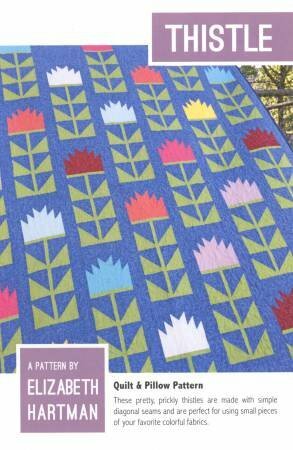 Thistle includes instructions for making quilts in two different sizes as well as directions for a delightful 24” x 24" pillow cover. The charming Thistle flower blocks are made using conventional patchwork techniques and are perfect for using fat eighth collections. Two Quilt Sizes: 42" x 62"